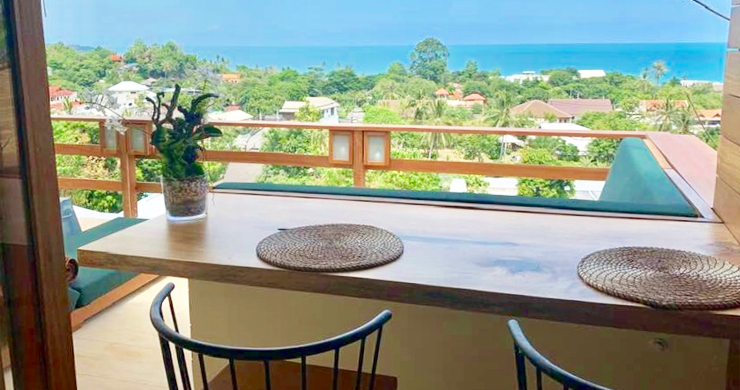 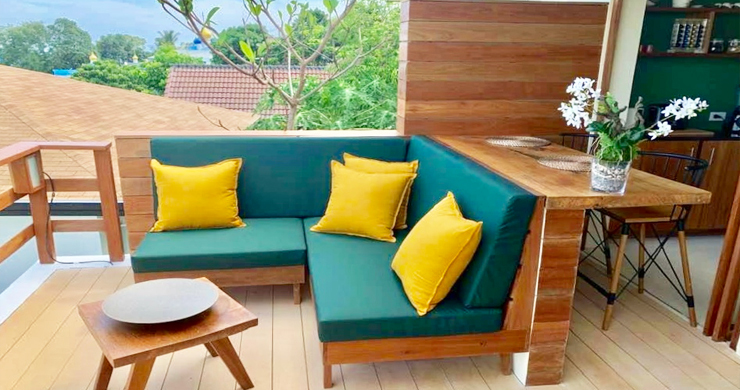 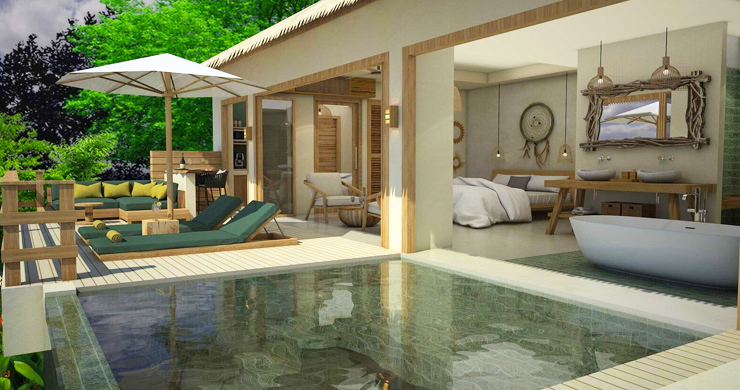 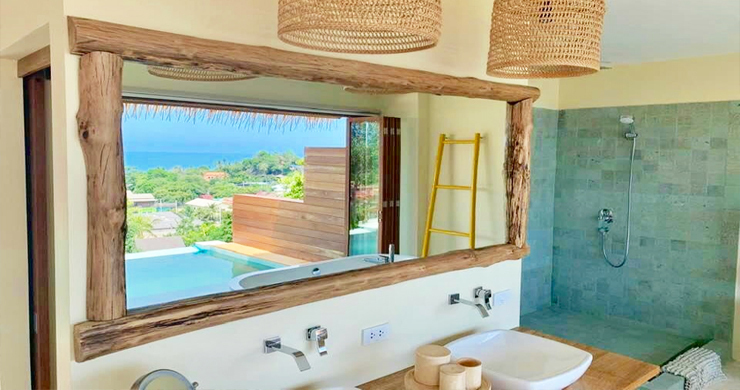 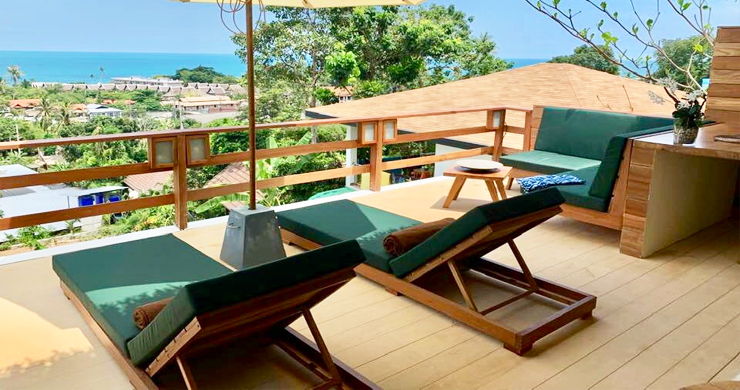 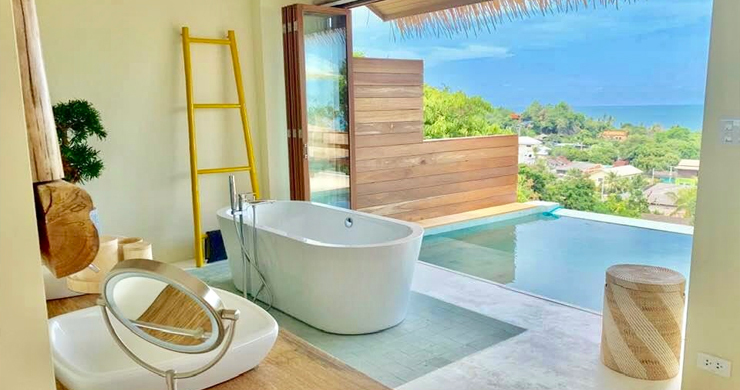 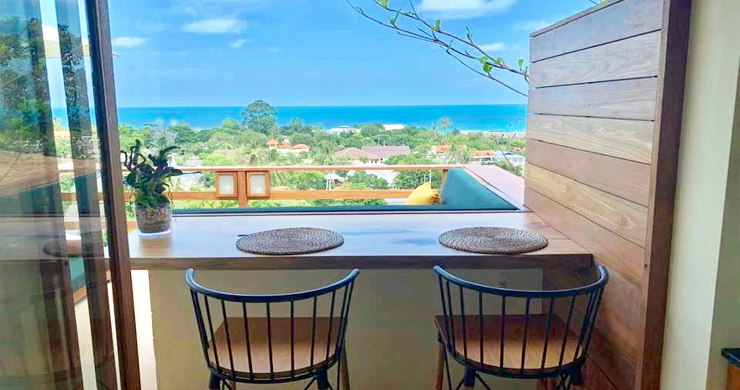 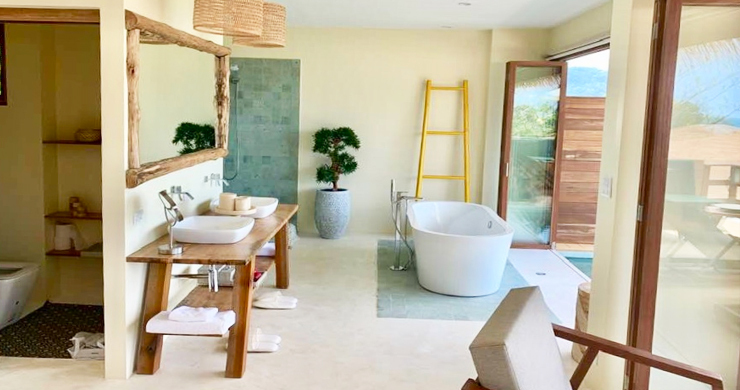 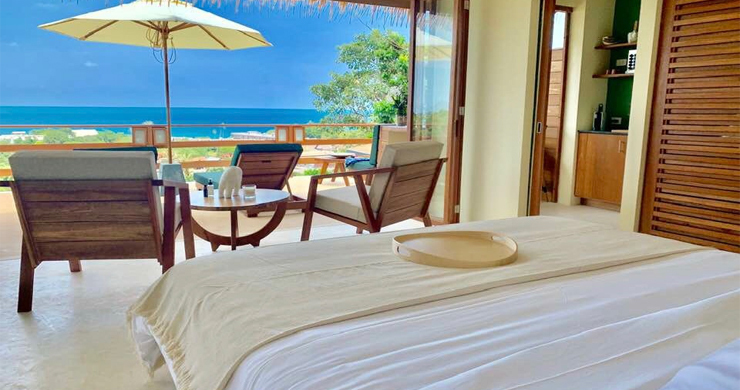 This charming new project of 1 bedroom sea-view Koh Samui villas for sale sits nested into the hillside only 500 meters walking distance to the lovely Lamai beach, with its safe swimmable waters, natural granite boulders and host of dining, entertainment & attractions. 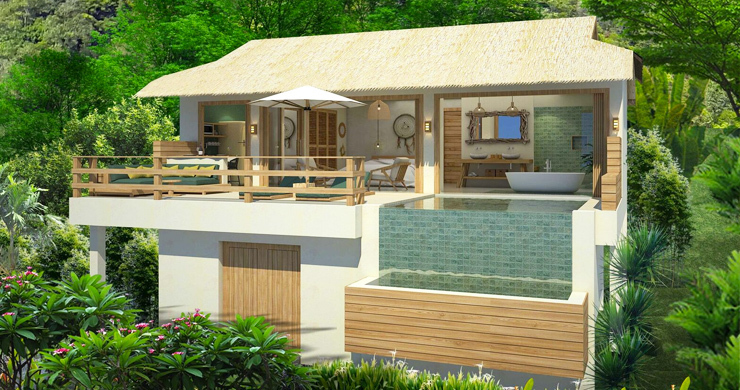 The project features 6 one-bedroom sea-view cottages, each offering 88 sqm interior of open-plan living space, these unique cottages, comprise of one bedroom, one bathroom, with bathtub and Italian rain-shower, separate WC, fully-fitted quality kitchens and private infinity pool and generous outdoor terraces. 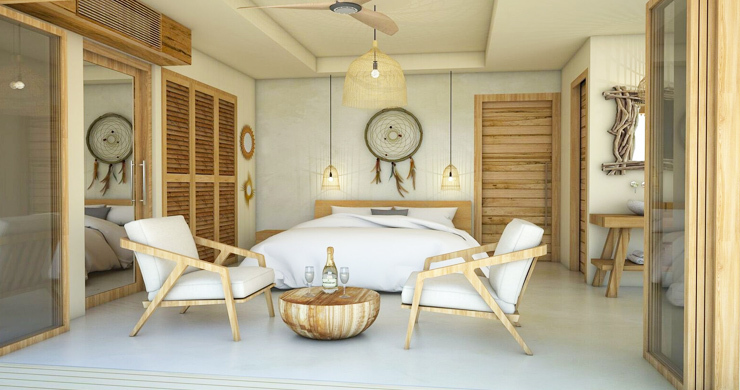 Intelligently designed to integrate seamlessly with the natural surroundings, whilst preserving the environment, the project’s prime location offers sensational sea views, with a convenient easy access to the beach, shops and restaurants, all within a few minutes driving distance. 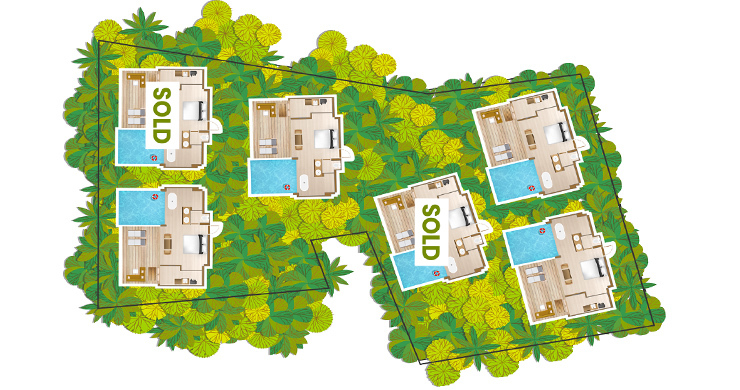 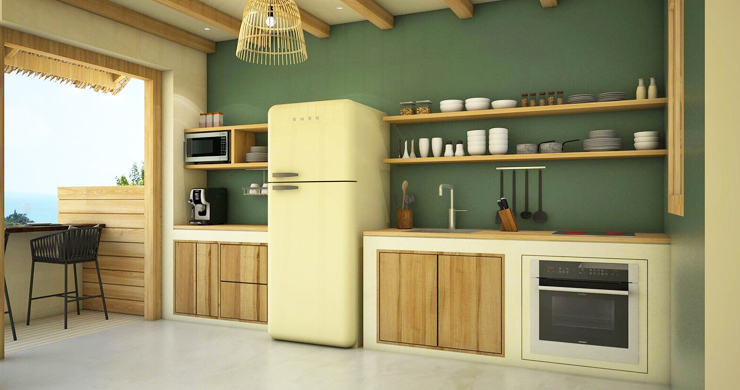 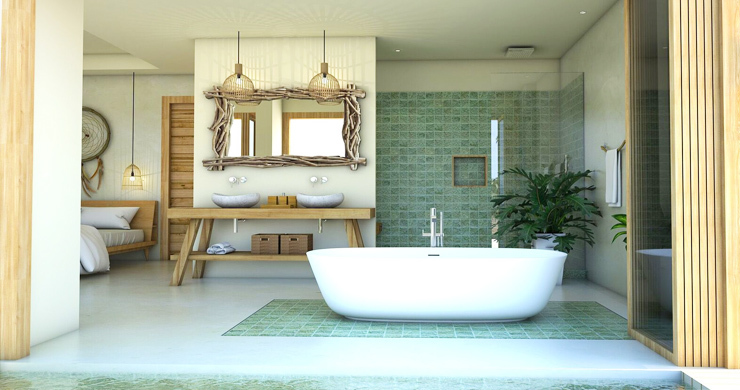 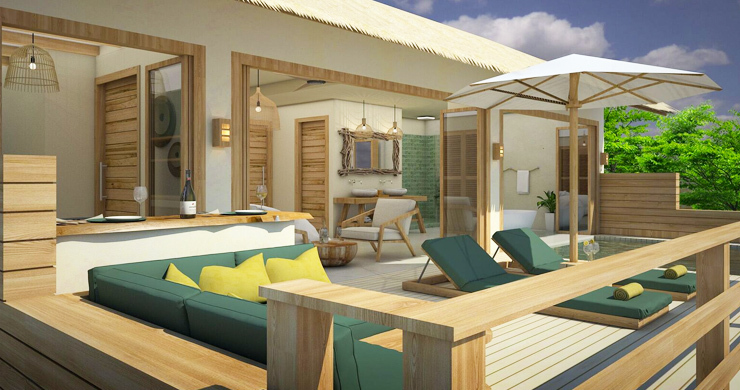 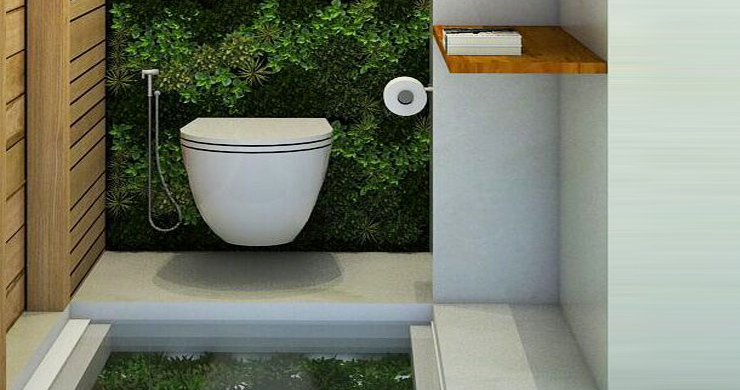 The villas are being built with high-quality natural materials and premium fixtures & fittings. 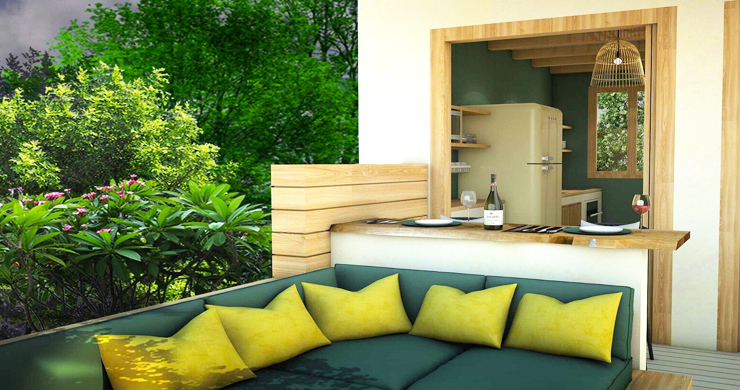 A full management service & 5-star concierge service is also available. 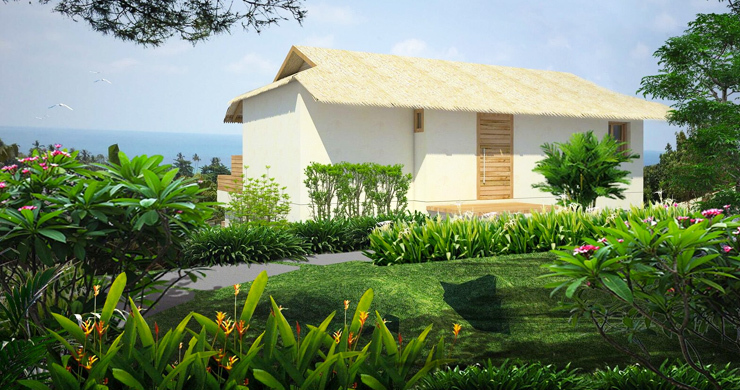 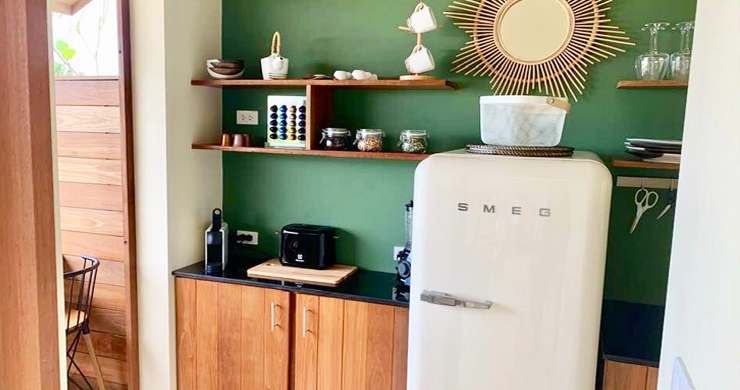 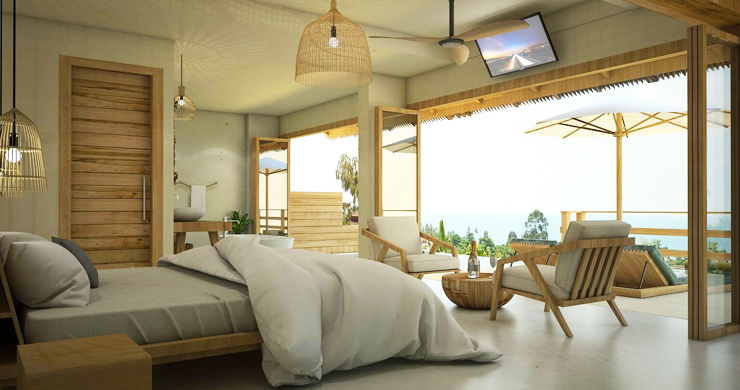 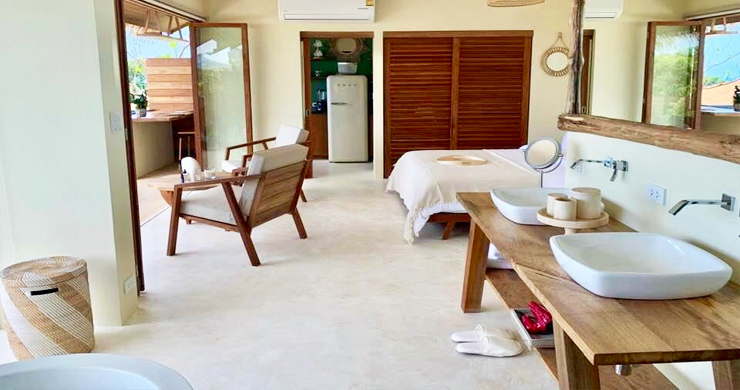 These uniquely designed cottages combined with a turn-key rental option & buy-back option, make for highly attractive all-round investment package. 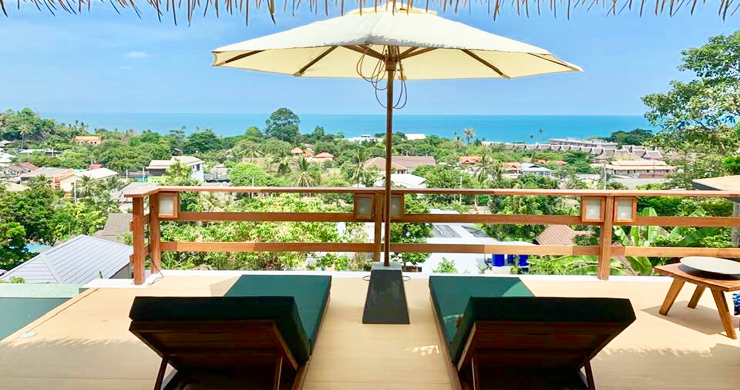 *Prices starting from: 3.8 Mil THB in leasehold option and at 5.9 mil THB in Freehold option come with rental guarantee return 10% in 15th years.